Washington, D.C. —(ENEWSPF)–April 25, 2017.l Throughout his campaign and the start of his administration, President Donald Trump repeatedly promised that he and his administration would invest in and empower women. However, as a new issue brief and interactive by the Center for American Progress lay out, President Trump’s policy actions and proposals in his first 100 days have made clear that he and his administration are completely out of touch with the needs of women and families. CAP’s issue brief and interactive, which come just days before the administration’s 100-day benchmark, highlight 100 ways the Trump administration is harming women and families. Specifically, CAP breaks down the harms caused by the Trump administration by the following themes: eroding family economic security, putting children at risk; attacking reproductive rights; undermining women’s legal rights; weakening protections against gender-based violence; undermining women’s leadership; tearing families apart; and slashing health benefits. 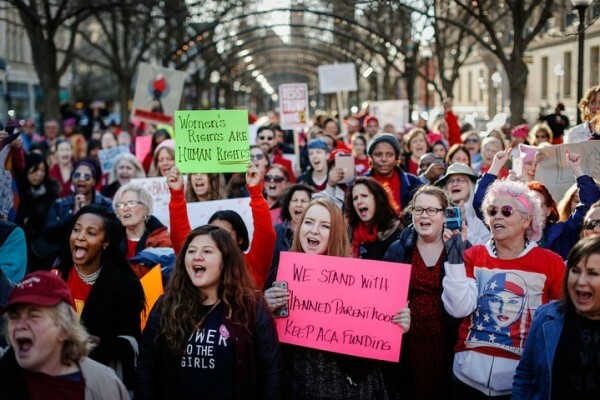 Although millions of women are already feeling the negative effects of the Trump administration and its misguided agenda, Trump’s regressive policies and proposals most acutely affect already vulnerable communities. In particular, the Trump administration has attacked or undermined policies that help children; women of color; low-income women; people with disabilities; lesbian, gay, bisexual, transgender, and queer, or LGBTQ, people; immigrants and their families; and victims of sexual assault and domestic violence, among others.